BEAUTY AND GROOMING for you. 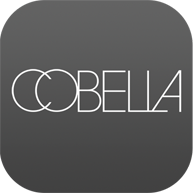 Cobella’ beauty services are designed to create a sanctuary for you to enjoy some well earned me time. Aromas, lighting, music and furnishings combine to promote a sense of comfort and peacefulness, or excitement and inspiration! This is your special place and time to escape from the tensions of the day and rejuvenate your body, mind and spirit. Let us restore your natural balance by detoxifying your body, hydrating your skin, relaxing tired muscles and beautifying your whole self inside and out. Unwind and leave the rest to us. Exclusive private hire to our spa will give you access for up to 10 guests with 5 beauty treatment rooms, one large changing room with lockers, a hydrotherapy spa pool, a large waiting area and more! Contact us at admin@cobella.co.uk to find out more.